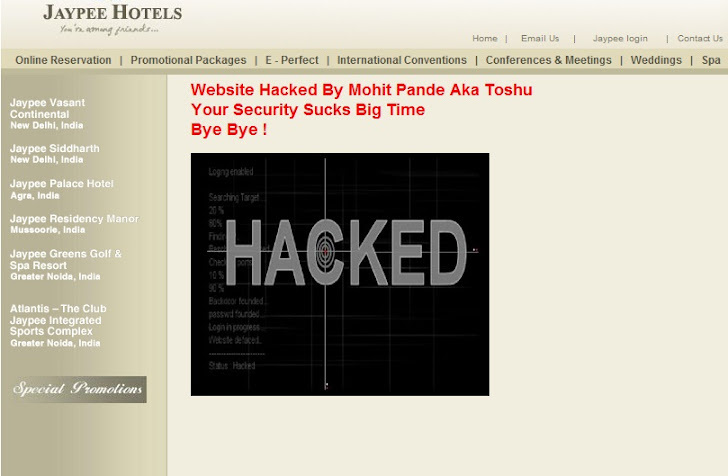 Jaypee Hotels Website Hacked By Mohit Pande Aka Toshu ! http://www.jaypeehotels.com/ - The Jaypee Group was founded by Mr. Jaiprakash Gaur. Jaypee Group is five decade old conglomerate based in Noida, India, involved in various industries that include Engineering, construction , Cement, Power, Hospitality, Real Estate, Expressways, Highways, Education and Social Commitment.